When you choose to stay at the Plum Apartments on Southbank you will be able to choose from a wide selection of furnished 1, 2 and 3 bedroom self contained apartments that specialize in providing different types of travellers with luxury long term accommodation in a central Melbourne location. All of the fully self contained apartments at the Plum Southbank are ideal for both corporate business travellers, families and holiday makers who want affordable accommodation that feels just like home during their extended stay in Melbourne. For the convenience of all guests the Plum Southbank Serviced Apartments is positioned close to the Crown Casino, Melbourne Exhibition & Convention Centre, Southbank and the Melbourne CBD. The in-room facilities in all of the apartments include spacious living areas, separate bedrooms with comfortable beds, air conditioning, TV with DVD player, broadband internet access, modern furnishings, kitchen with microwave, refrigerator & dishwasher and private laundry facilities. 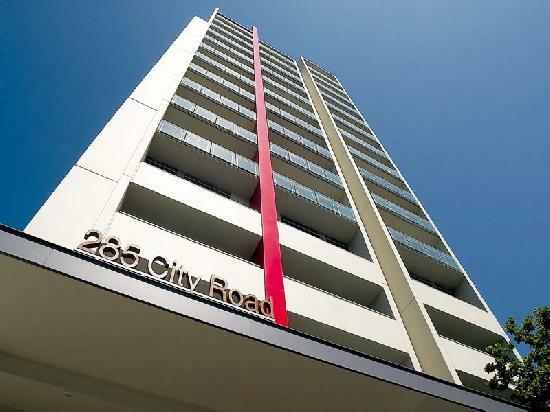 Within easy reach of the Plum Southbank Serviced Apartments are a number of find dining restaurants, cafes & shops. Also nearby is the Crown Casino and Entertainment Complex, Melbourne Exhibition and Convention Centre, the Docklands waterfront precinct, Etihad Stadium, Federation Square, Royal Botanic Gardens, the MCG, Melbourne Park Tennis Centre, public transport and the Westgate and Citylink freeways.